With our Kentucky AgrAbility partner, we are pleased to announce that the 2016 International Society for Agricultural Safety and Health Annual Conference will be in Lexington at the Hilton in June. We shared the Somerset screening of this documentary with you in July, and now this documentary is coming to Lexington. 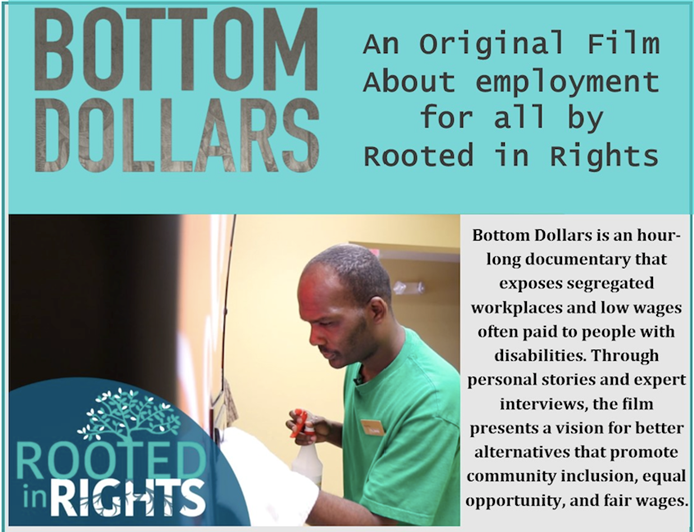 This free screening and panel discussion about “Bottom Dollars”, an original film about employment for all by Rooted in Rights. “Bottom Dollars” is an hour-long documentary that exposes segregated workplaces and low wages often paid to people with disabilities. Through personal stories and expert interviews, the film presents a vision for better alternatives that promote community inclusion, equal opportunity, and fair wages. For more information, contact Elaine Eisenbaum at eeisenbaum@uky.edu or (859) 257-6086. Planning is in progress for our annual conference. Please plan to join us on Friday, August 24 at Perkins Conference Center in Richmond KY, and spread the word by sharing our Save the Date flyer. Click here for details about this one-hour webinar. 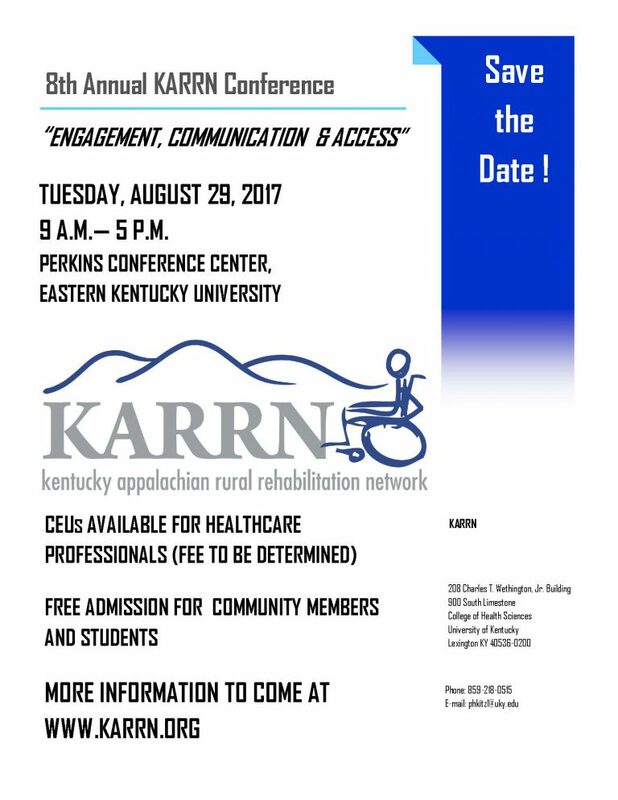 University of Kentucky’s Center of Excellence in Rural Health details the benefits of Hazard’s stroke support group. The monthly support group is one of many services offered to stroke patients and caregivers by Kentucky Care Coordination for Community Transitions (KC3T). For more information, the full text of CERH’s article is available by clicking here. Keisha Hudson has registered the monthly support group on the National Stroke Association’s website, www.stroke.org . This exposure will be beneficial as the group continues to thrive. 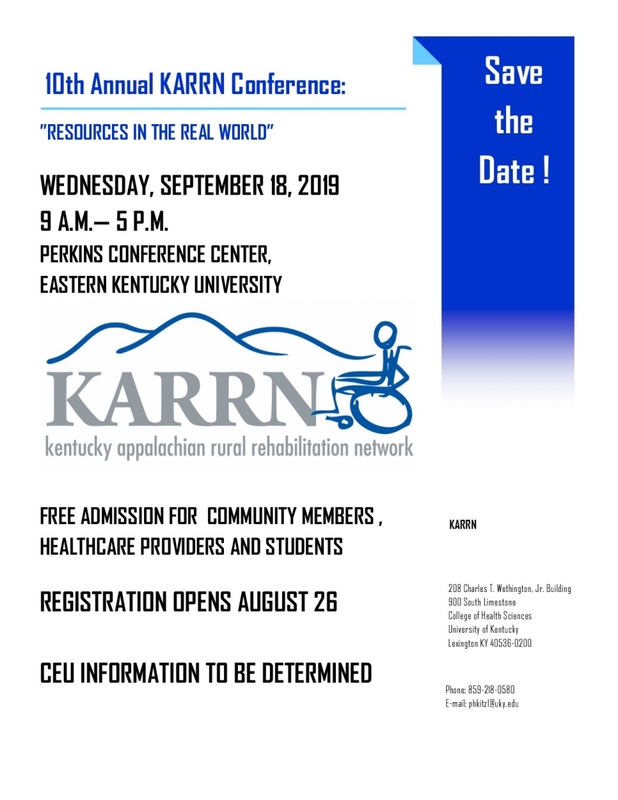 New patients and caregivers can search for support groups in the Hazard area and find out how to connect to Kentucky Care Coordination for Community Transitions services. The national association has provided free resources and education to the stroke community for three decades. Thanks, Keisha, for spreading the word about your community activities in Hazard. Our University of Kentucky AgrAbility staff attended the annual meeting in Knoxville earlier this spring. Deadline to enroll is July 31. Please do not hesitate to contact HDI with questions or send participants their way. Thank you for your help in spreading the word!